As the so-called “Arab Spring” swept through the Muslim-majority world in 2011, some US officials and counterterrorism analysts proclaimed that al Qaeda had been left “on the sidelines.” However, the limited selection of publicly-available documents captured in Osama bin Laden’s compound in May 2011 tell a different story. The al Qaeda chieftain and his subordinates saw an opportunity. Atiyah Abd al Rahman, who served as al Qaeda’s general manager, discussed the political upheaval in a letter written to bin Laden just weeks before the al Qaeda CEO was killed in his Abbottabad, Pakistan safe house. Rahman’s letter was introduced as evidence in the trial of Abid Naseer, who is alleged to have taken part in al Qaeda’s plotting in Europe and New York City. Just months after penning it, Rahman was killed in a US drone strike in northern Pakistan. His conclusion proved to be wrong. Al Qaeda groomed an official branch in Syria, the Al Nusrah Front, to battle Assad’s government and its allies. And al Qaeda’s senior leadership later sent a cadre of officials to Syria to help guide this effort, as well as to plot attacks in the West. The Tunisian with Yunis “could travel straight to Tunisia now,” as “he could easily enter the country, and then some of our people could travel there and get in,” Rahman wrote. The “three Syrians” will “hopefully” be able to get into their home country. There is no clear indication of who these Syrians and the Tunisian are, or what happened to them. Some of Yunis’ men were eventually captured alongside him, while others likely remained free. But the bin Laden files give some details with respect to Libya. Rahman’s words confirm that early on in the Libyan revolution al Qaeda’s senior leaders were communicating with their “brothers” in the country. He goes on to note the role played by the Libyan Islamic Fighting Group (LIFG), an al Qaeda-linked organization that gave bin Laden some of his most trusted lieutenants. It is interesting to note that Rahman seemed encouraged by the release of the LIFG members, despite the fact that some of the group’s imprisoned leaders in Libya had previously rejected another LIFG faction’s decision to formally merge with al Qaeda. That rebuke of al Qaeda, issued in September 2009, was made while the LIFG jihadists were stills detained by Muammar al Qaddafi. Rahman was right to be bullish with respect to the jihadists’ prospects in Libya. In their 2009 revisions, the detained LIFG leadership said they had given up on their quest to dethrone Qaddafi. But when the opportunity arose less than two years later, LIFG veterans became key rebel leaders in the fight against the regime. And while the LIFG evolved into multiple factions, some of its committed jihadists continue to fight against anti-Islamist forces to this day. LIFG veterans who had previously joined al Qaeda, such as an ex-Guantanamo detainee named Sufian Ben Qumu, were among the jihadists who returned to the fight. Ben Qumu went on to become a prominent figure in Ansar al Sharia in Derna, which has worked with al Qaeda in the Islamic Maghreb (AQIM), an official branch of of al Qaeda, and other al Qaeda groups in Libya. 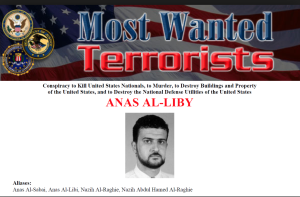 On the night of Sept. 11, 2012, some of Ansar al Sharia in Derna’s fighters took part in the assault on the US Mission and Annex in Benghazi, Libya. Another LIFG veteran, Salim Derby, leads the Abu Salim Martyrs Brigade (ASMB) in Derna. In December of 2014, the ASMB established the Mujahideen Shura Council (MSC), an alliance of jihadists in the city. The MSC was set up in opposition to General Khalifa Haftar’s forces. The newly-released bin Laden files show that al Qaeda operatives requested to relocate to Libya in 2011 and Rahman approved their request. Rahman explained to bin Laden that Abu Anas had written a letter to Abu Yahya al Libi (Rahman’s deputy at the time), and Abu Anas was upset with Rahman for not responding sooner. The letter from Abu Anas was apparently attached to Rahman’s own missive to bin Laden. Rahman forwarded onto bin Laden the reply he sent to Abu Yahya. “In short, I gave him [Abu Anas] permission to go to Libya,” Rahman explained. 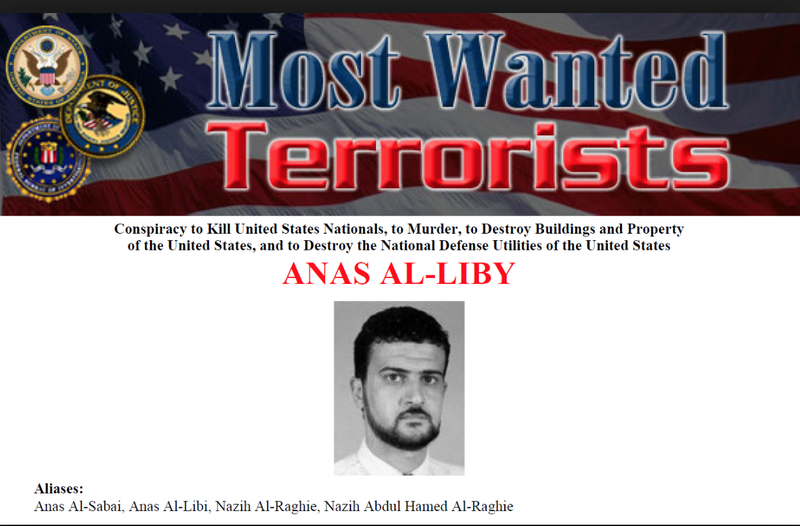 The bin Laden files reveal new details concerning AQSL’s ability to communicate with operatives in Libya. Abu Anas was drawn back to his native country by the uprising against Qaddafi and the role that his al Qaeda brethren were playing in it. In particular, Abu Anas’ zeal for the jihad was fueled by the experience of his comrade, ‘Urwah al Libi. ‘Urwah al Libi is also identified as Abu Malik al Libi in Rahman’s letters. Rahman described ‘Urwah as “an outstanding combatant” who decided to stay in Iran after his release from detention rather than rejoin AQSL in Pakistan. Although Rahman had high hopes for ‘Urwah, it was not meant to be. In April 2011, around the same time Rahman wrote his letter to bin Laden, Al Hayat reported that ‘Urwah had been killed in an ambush by Qaddafi’s forces. ‘Urwah was described as one of the LIFG’s “prominent leaders” in Al Hayat’s account. The paper’s sources said ‘Urwah’s “weight” in the LIFG could not “be disregarded,” as he was held in high regard by the LIFG’s leadership in Libya prior to his demise. Before joining the jihad in Libya, and while he was still in Iran, ‘Urwah sent Rahman an email saying that “some of the Libyan brothers in England had talked to him about” an alleged offer. Additional evidence is required to evaluate this supposed proposal. The information contained in Rahman’s letter is, at best, thirdhand. It was passed from the “Libyan brothers” in the UK, to ‘Urwah, and then finally to Rahman. Bin Laden also enclosed a statement on the revolutions, just as Rahman had requested, and asked that it be sent to the Al Jazeera television network. Indeed, much of bin Laden’s reply is devoted to the uprisings. The head of al Qaeda believed that Islamist parties, including the Muslim Brotherhood, would be the primary winners in the new political order, and the jihadists should not seek conflict with them. “The more time that passes and the call increases, the more the supporters will be of the people, and the more widespread will be the correct understanding among the coming generations of Islamic groups,” bin Laden believed. As the rivalry between the Islamic State and al Qaeda became a central issue in the jihadists’ world, Islamic State officials and their supporters increasingly accused Zawahiri of taking al Qaeda down a deviant path by not advocating armed jihad in all Arab countries at all times. But Zawahiri’s approach to the countries affected by the political tumult was broadly consistent with that advocated by bin Laden in one of his final letters. Bin Laden’s words show he had a more nuanced approach to political Islamists than is widely believed. Even though al Qaeda has harshly criticized the Brotherhood, bin Laden still saw its rule as a “half solution” that was better than the previous regimes. Of course, in Egypt and elsewhere, events did not transpire exactly as bin Laden had hoped. While we only have a small subset of bin Laden’s internal correspondence, the letters we do have show that al Qaeda was much more keen to exploit developments throughout the Arab world than some Western analysts believed. In addition to Abu Anas al Libi and ‘Urwah al Libi, al Qaeda dispatched other trusted lieutenants to Libya to lead its efforts. In 2011, Ayman al Zawahiri sent his own emissary, Abd al Baset Azzouz, to Libya. Azzouz had approximately 200 fighters in his al Qaeda group at one point. Azzouz was reportedly captured in Turkey late last year. Probably bin Ladin harboured grandiose aspirations for legitimacy, so he was the “lion in winter” (good analogy), Nusra was always Brotherhood, screamed like pig when declared terrorist, and they still complain about the unfairness of it all, Abu Anas al Lib, is a legend in Libya now since he starved himself to death, are his associates Libya Dawn?. I always knew that, and yet I was told that I’m racist because I don’t support a ‘pro democracy’ movement full of bearded Islamists with machetes that hung black people from awnings in front of large crowds. It would be hard to make this stuff up if I tried, but oh well. The tax money (also my tax money) helped those pro-democracy people, and I should be thankful that I live in such a lovely world. Gadaffi was a good guy, but not a clear thinking leader , Libyans paid the cost of his inability, and his armies were as good as you get but even so Allah gave him a mission that he fulfilled, none could have done it better , turned the tide of US imperialism and Assad took over where Gadaffi left off. I believe Libya Dawn can see the good that Gadaffi done and unite Libya with it, in the mame of Allah. Mike, we’ve disagreed about this before. He did good for his people with economic and social projects and the like. Security wise, his regime was indeed brutal, but he saw it as a way to keep Libya stable and hold off AQ. Regardless of how good or bad people think he was, nothing justifies blatantly lying to the citizens of NATO countries and stealing their tax dollars for what was basically an illegal bombing mission. The Gulf dictatorships also made sure that the worst possible scenario would eventually unfold. I remember when left-wingers and Libyan expats were all cheering on the bombings, now Libyans are slaves to regional militias, various Jihadist groups, and the Islamic State. Where is the ‘freedom and democracy’? I can’t see it there. Gadaffi did squat for ‘his’ people. Everything he did he did for himself. He was a murdering beast. Who cares about the Libyans. “Freedom & Democracy” are earned not some esoteric gift. If they want ‘it’ so bad then go fight & die for ‘it!’ The Libyan’s have always been slaves & will always be slaves. All those that you mentioned that are “slaving” up the Libyans are fighting & dying for what they believe in. Let the Libyan people organize & defend themselves if not then flee to Egypt, Algeria or keep sailing in their sinking boats for Italy. Besides anybody that knows anything about Libya knows that it wasn’t what it is till the Italians showed up at the turn of the last century & prior to that they were nothing but a bunch of Pirates. Everything that has happened to the Libyans is “justified” most especially Gadaffi dying like a stuck pig after hiding in a sewer pipe. I would agree about the part with “the Libyans”, but not about Gaddafi. You seem to be of the older ‘everything the western military establishment does is right’ variety, so it’s pointless to carry on this conversation. little or none of what I’ve ‘said’ has anything to do with ‘everything the western military establishment does is right.’ That’s some misconception you harbor or believe. Your obsession with Gaddafi is rather creepy. The guy was a brutal Dictator with a maniacal ego who terrorized, tortured & murdered his own people with impunity. Are you alright, Mike? It seems like you are very upset about something. You can tell me. We’re here to listen. Why? You got some more ignorance you wish to share about some savage murdering dictator? My goodness Mike, get a grips on yourself ! At least Quadaffi didn’t cower in some distant corner of his own country to be as close to Tel Aviv as he could get like Assad now does. At least Quadaffi didn’t barrel-bomb his own people like Assad now does. At least Quadaffi didn’t cry uncle to the likes of the mullah regime (in Tehran) or Pukin like Assad now does. uh no, you’re right, Quadaffi was busy cowerin in a sewer pipe. Quadaffi never got much of a chance to murder or “Barrel Bomb.” In case you didn’t follow what led to his removal NATO stepped in & started bombing Quadaffi’s Forces because they were bombing/murdering Libyan’s. Try & keep up. Pleased to read you’re another supporter of Brutal Dictators. Are you serious, Mike? That’s just hilarious ! Visualize that me and you are stuck putting out the fire of our neighbor’s house (obviously to keep our own houses from burning down), and then he’s got the gall to complain about the service? That is how at least I see Assad. Assad is a joke Mike. He is a farce. If’ he’s not the laughing stock of the Middle East now he most certainly should be. What might be a quick way to eliminate Assad? Answer: Operation Valkyrie (a Syrian version). Maybe you’ve got me mixed up with Assad. the only mixed up person ‘here’ is you. Why would I “visualize” you I or anybody doin anything? For starters try “visualizing” Quadaffi cowering in a sewer pipe. Assad is alive & Quadaffi is dead. Assad is neither a “joke” nor a “farce” & I seriously doubt anybody is “laughing.” What’s laughable is you conjuring up a failed assassination attempt. Try & spend less time diddlin your brain & focus on reality. Mike obviously has a lot of self-esteem, ego and psychological issues he needs to work out. Poor guy is so dedicated to being an important person on the Internet that it’s made him mentally ill. Funny coming from a ‘guy’ who has ‘spent’ so many ‘years’ TALKING IN ALL CAPS, talking with ‘quotes’ like this, telling everyone he’s better than them, and generally being a scummy retarded little loser. Mike, the only one who needs to focus on reality here is you. You can try to be a ‘big man’ by hiding behind imperialist NATO adventures, but the only coward here is you. You hide on the Internet and abuse others, you wouldn’t have the balls to face anyone NATO related. And LOL @ you denying to the other guy that you were not pro-military, then you supported the NATO mission in Libya and tried to justify it. Stop being a fark-up with cognitive dissonance issues and get your story straight, blowhard. Oops, I didn’t mean to put the “not” there before “pro military”, autocorrect on these phones ruin things. I’m sure Mike “I’m important and I know everything on the Internet” Merlo will point that out. Do you really feel that threatened by words on the Internet? You need help, Mike. Aside from your exposed ego which is very damaged, fragile and pretty much shattered, you seemed to have misread my comment. I said “anyone NATO RELATED”, idiot. I don’t have mercenary rebel jihadists, a large NATO contingent or air and sea assets, special forces, or a coalition at my disposal. You should also improve your reading comprehension, Mikey boy. So giving me a fake address so you can look like a tough man is calling my bluff? Good one, retard. Go tell yourself how amazing and smart you are, only you believe it anyways.